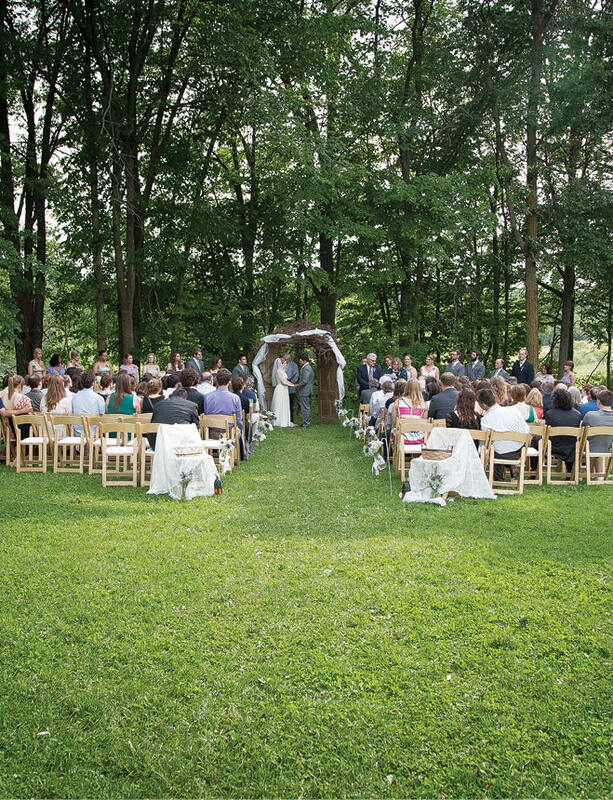 Rows of white wooden chairs face a towering oak tree growing in a lush green pasture, as the sun slowly starts to set over distant cornfields. 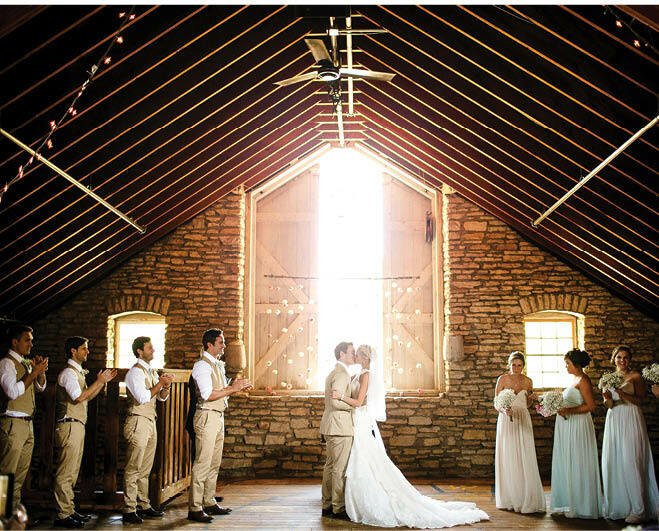 Tree branches dip in a graceful arc at the end of the aisle, framing the waiting groom, and guests turn to witness a beauty in white emerge from a historic red barn. It’s hard to resist this kind of bucolic image, with cows serenely grazing in a distant meadow and quilt-covered hay-bale seating waiting for guests to settle onto them at the outdoor cocktail hour. 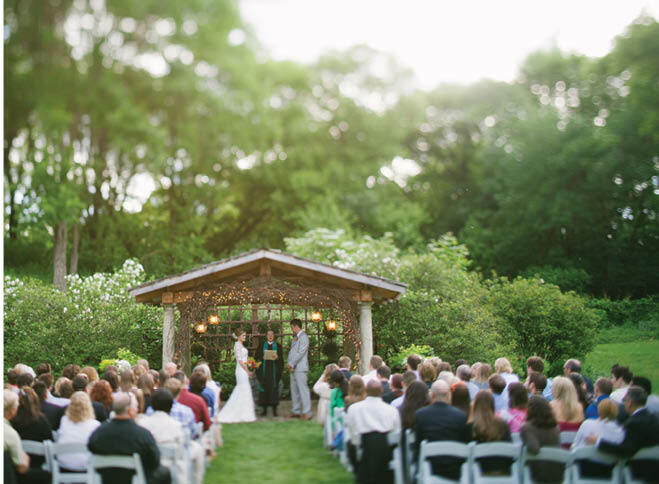 There’s a sort of lovely nostalgia to the weathered colors, pastoral setting and easy pace that accompany any outdoor wedding, but nowhere will you find more beautiful barn settings than in Minnesota. 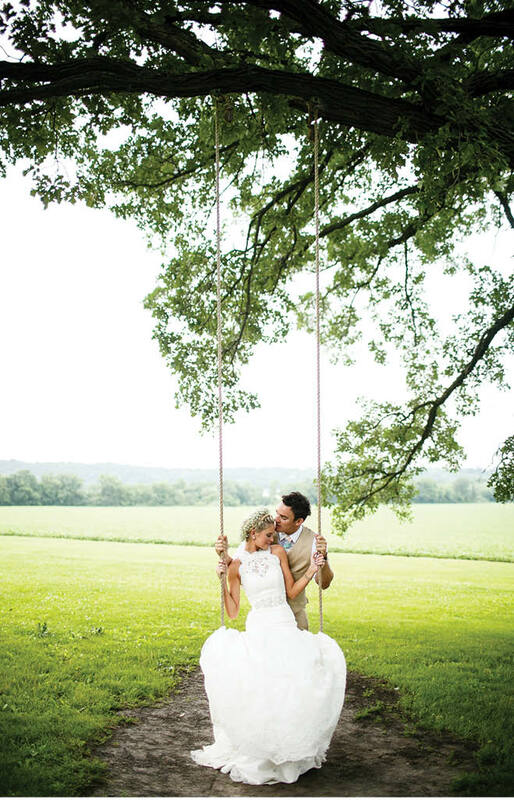 And couples are coming from all corners of the state—and now even the world—for the rustic elegance. When Katy Johnson and Max Evans began planning their summer wedding, they originally looked at venues close to their current home in southern France and in Portugal, where Max’s parents live. But after an illness interrupted family travel plans, the couple turned their attention stateside. “We wanted something charming and outdoors since we both love nature and adventure,” says Katy, who grew up in Iowa before relocating for her modeling career. 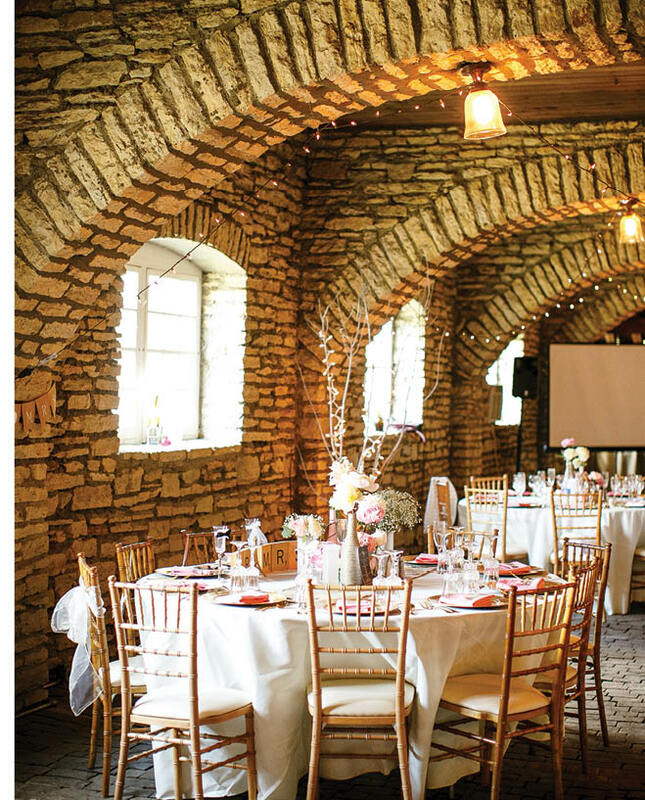 And while Max, a professional rugby player, had never lived in the United States, he readily agreed that the distinctive countryside beauty of Rochester’s historic Mayowood Stone Barn was the perfect backdrop for their rustic chic nuptials. 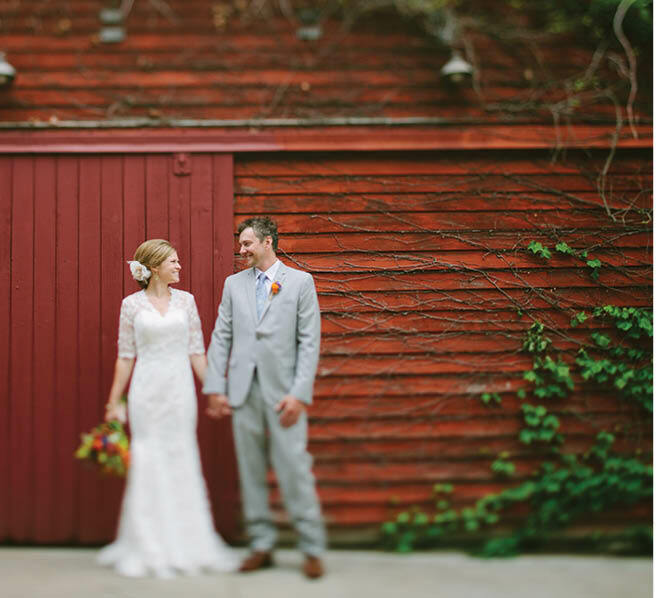 For Katy and Max, this rustic elegance was present in every detail. To play up the natural charm of the setting, Katy visited antique shops throughout the planning process, collecting vintage vases, crates, picture frames, keys and even an antique typewriter, all of which would be used throughout the venue. Vintage bottles held chic single-blossom peonies, garden roses, mums and dahlias, while whiskey barrels overflowing with baby’s breath adorned the ceremony aisle. Lighting also offers a great way to add a touch of elegance. One easy and inexpensive way to add romance (assuming ample power sources) is by stringing tiny white lights or softly glowing lanterns throughout the space. 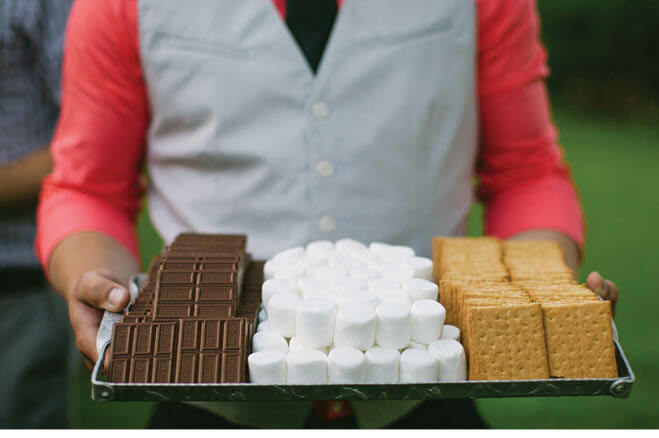 “Not only do they add a gorgeous ambiance, they also lend an element of safety for guests on uneven pathways or unfamiliar areas after a night of celebrating,” says Nicolle Sellers, owner and lead planner at Mother of the Bride Wedding Planning & Design in Minneapolis. Power sources are not standard in this kind of venue, however. “We often bring in a generator because these old barns don’t have enough power for everything like extra lighting and a band or DJ,” says Sellers. When booking entertainment (or catering and rentals for that matter), be sure to ask whether the vendors have experience with rustic venues. Seasoned vendors will already know the ins and outs of working in non-traditional settings and with the elements. While toilets are not the most glamorous part of an event, they are a non-negotiable essential for any wedding. And they can be a fun place to add an unexpected touch of elegance. Bringing in a luxury restroom trailer with lighting, air conditioning and running water will make your guests will feel right at home. If that’s a budget-breaker, don’t be afraid of more affordable porta-potties. Just don’t line them up like a festival, says Sellers. Consider transforming the blue biffs into a high-end restroom tent, with a central hand-washing station and floor-length mirrors separating men’s and women’s facilities. 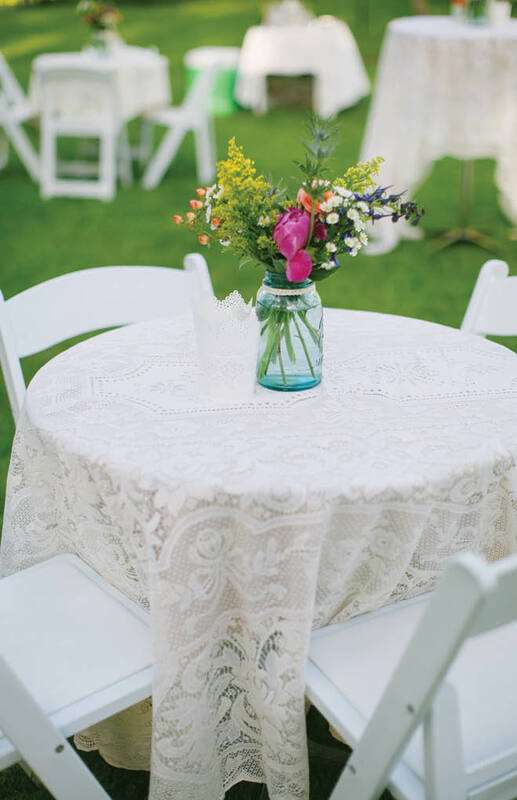 Whatever the setup, it’s always nice to spruce up the space with some simple floral and a comfort station with combs, blotting papers, hairspray, mints, bug spray, allergy medicine (because even the most organized guests don’t always plan ahead) and other personal items. And don’t forget about the weather. “September weddings may start at 80 degrees for the ceremony and then drop to 50 degrees by the end of the event,” advises Sellers. To make sure guests stay comfy even in the strappiest of sandals, she recommends providing comfortable blankets, baskets laden with cozy pashminas or even a coffee bar set up with warm drinks like espresso, hot cider or hot toddies. And because many of these historic barns lack air conditioning or heat, consider renting forced-air heaters or mushroom space heaters for use after the sun sets. 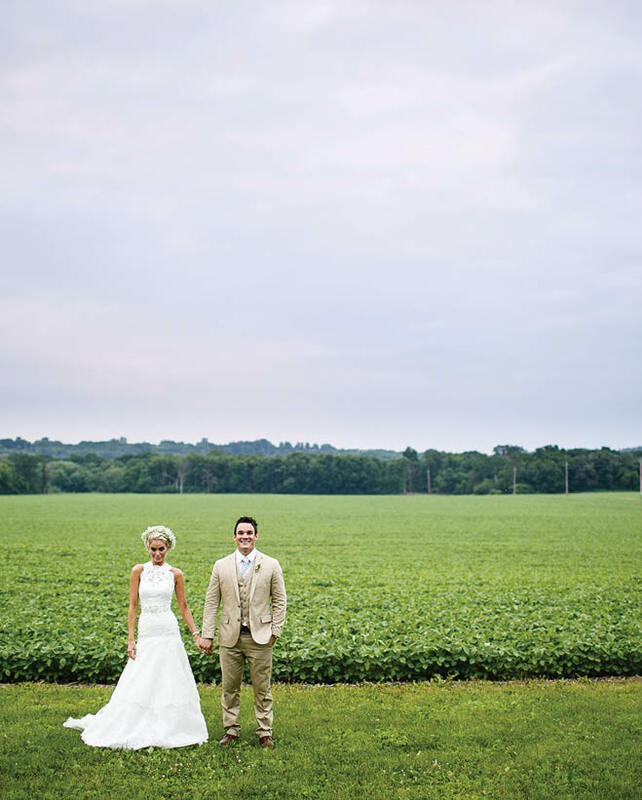 Even with the rural beauty of these weddings, couples desiring a barn venue won’t need to travel far. A mere 30 minutes from downtown St. Paul, the 150-year-old former dairy farm Dellwood Barn boasts 40 acres of land and a charming 3,800-square-foot red barn. Gale Woods Farm, a picture-perfect working farm on Whitetail Lake in Minnetrista, sits approximately a half-hour from downtown Minneapolis. 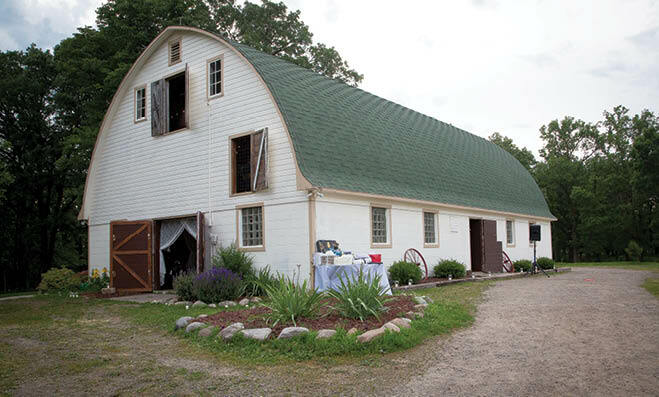 For Twin Cities couples who want to explore more far-flung areas, there are many barns within easy driving distance of the Twin Cities that offer a variety of both ceremony and reception options. 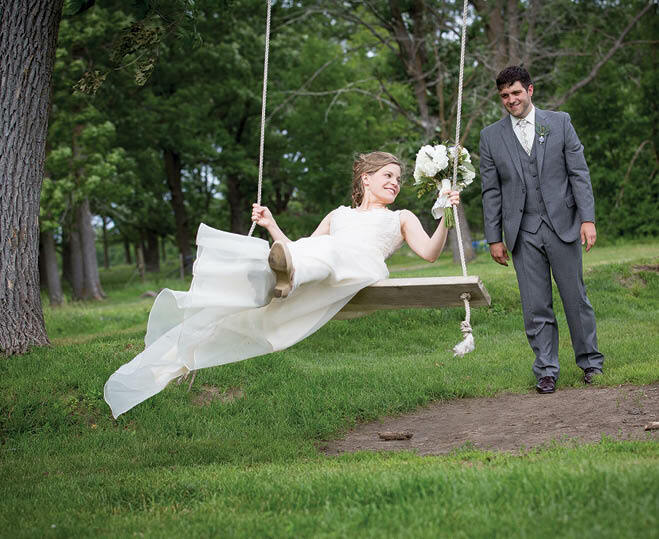 Romantic rural venues dot the Minnesota countryside, just waiting to be discovered by adventurous brides and grooms. 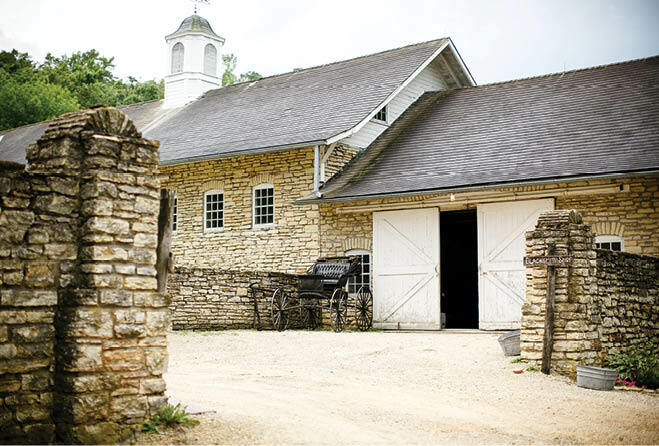 A selection of some of the area’s best barn venues.